This beer is a blend between young beer and ages beer kept in oak vats. The older part of the beer contributes to its fruity, complex sour taste. 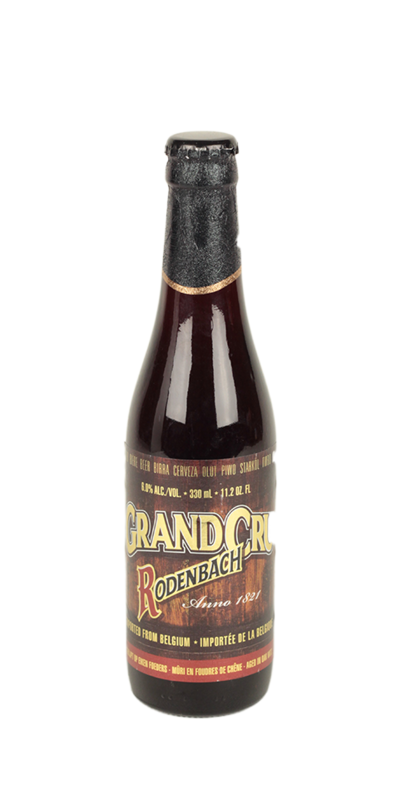 Founded in 1836 by Pedro Rodenbach along with his wife Regina. However it was down to Eugene Rodenbach who studied the vinification of beer which aloud him to optimise the maturation process in oak casks.